What Has The United States Done for Georgia Lately? 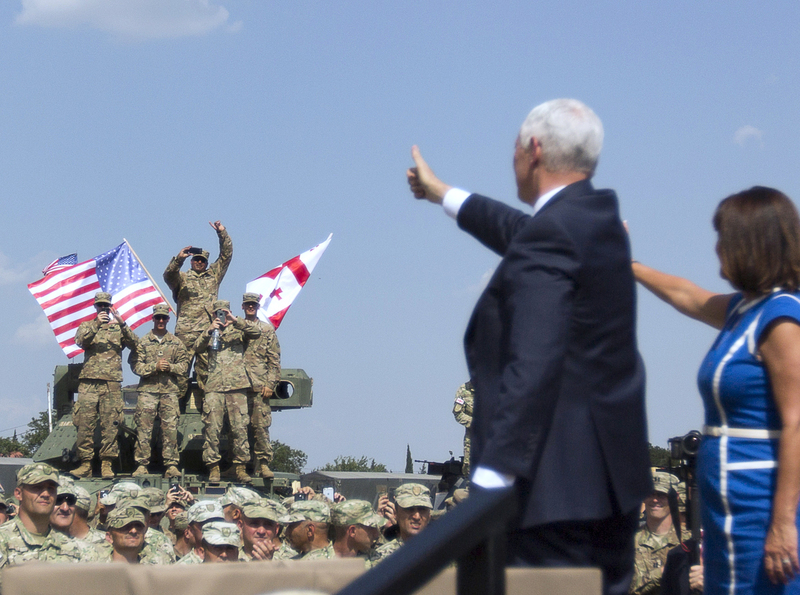 Most observers expected U.S. Vice President Mike Pence’s recent visit to Georgia to follow a tight script: Show up, reaffirm the U.S. commitment to Georgia’s sovereignty and territorial integrity, eat some khinkali and khachapuri, and leave. “President Trump and the United States stand firmly behind the 2008 NATO Bucharest statement which made it clear that Georgia will, someday, become a member. Pence’s comments send a firm signal of support for Georgia. His trip also came at an important time, as Russia is deepening its de facto annexations of Abkhazia and South Ossetia and amid concerns that the United States—led by Pence’s Vladimir Putin-sympathizing boss, President Donald Trump—is willing to abandon Georgia in exchange for better relations with Russia. That kind of speculation is understandable. President Trump has nothing but nice things to say about Putin, he recently called NATO “obsolete”, and his campaign focused on the narrative that U.S.-Russian relations cratered during the Obama years because of American hubris, not because of Russia’s invasions and annexations of neighboring states. However, the worst fears haven’t become reality, at least not yet. The Trump administration has stuck to the “Washington playbook” regarding Georgia—with some important exceptions. 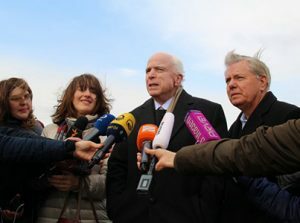 What’s more, Georgia still has a lot of friends in Congress, and high-ranking senators such as John McCain and Lindsey Graham have worked to reassure Tbilisi of continued support. To accurately assess just how much the U.S. government has supported Georgia under President Trump, let’s look at everything that has happened since it entered office in January. It passed a Russian sanctions bill pledging support for Georgia—On July 24, the U.S. Congress passed the Countering America’s Adversaries Through Sanctions Act. The Act received almost unanimous support; 419 representatives voted for it and only three against, while 98 out of 100 senators voted in favor. The Act was signed into law by President Trump on August 2. The Act will codify existing sanctions and impose new sanctions against Russia, Iran, and North Korea. 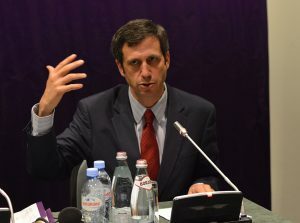 It directly refers to Russia’s “illegal annexation of Crimea in 2014, its illegal occupation of South Ossetia and Abkhazia in Georgia in 2008, and its ongoing destabilizing activities in eastern Ukraine.” The Act also condemns Russia for refusing the comply with the terms of the August 2008 ceasefire agreement. In addition to sanctions, the Act pledges $250 million to be spent countering Russian propaganda in 2018 and 2019. 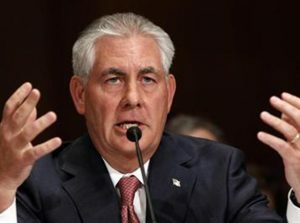 It’s up to the State Department to decide how to spend the money, but Georgia will be a beneficiary. It held joint exercises with Georgian troops under NATO auspices—Georgia’s recently hosted NATO’s “Noble Partner” exercises alongside the United States, Britain, Germany, Turkey, Ukraine, Slovenia, Armenia, and Georgia. The US dispatched more than 2,000 troops for Noble Partner, including an entire mechanized company. Noble Partner is a milestone for Georgia’s military: It advances the training of its second light infantry company, which is working toward certification for the NATO Response Force. It is seriously considering sending lethal military aid to Ukraine—On July 25, U.S. Special Envoy to Ukraine Kurt Volker gave an interview saying the Trump administration is considering sending “defensive arms” to Ukraine. 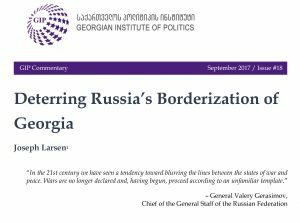 This doesn’t directly concern Georgia, but it sends a stern message that the Trump administration hasn’t acquiesced to Russia’s invasions of its neighbors. Even if the U.S. decides against lethal arms for Ukraine, the message should be a shot in the arm for Georgia. The U.S. appears unlikely to hand Putin carte blanche in Eastern Europe. However, Secretary of Defense James Mattis, who arrived in Ukraine on August 24, made no promises during a speech he gave in Kiev. It hosted Prime Minister Giorgi Kvirikashvili in the Oval Office—Georgia’s PM met with the POTUS in the White House on May 8. The White House didn’t publish an official account of the meeting, but the prime minister’s office said that during the meeting President Trump stressed Georgia’s role “as “an important ally and a strategic partner” of the United States. Again, just words. But messages matter. Not all the news out of Washington has been welcome by Georgia, however. It proposed cutting foreign aid to Georgia by more than 50 percent—On May 23, the administration released its proposed 2018 budget that would slash overall foreign aid spending by over 28 percent. Georgia will be hit hard if the White House gets its way. According to supplementary budget documents released the same day, foreign assistance allocations for Georgia would be cut from $80.6 million in 2017 to $34.1 million in 2018. According to the proposal, the $30 million “Peace and Security” program would be canceled entirely, and the “Governing Justly and Democratically” program—the main U.S. vehicle for democracy promotion activities in Georgia—would be cut by nearly $10 million. The proposed budget requires congressional approval. As is evident from passage of the Countering America’s Adversaries Through Sanctions Act, Georgia still has a lot of friends in Congress, so next year’s foreign aid budget may wind up being more generous than what the White House is currently proposing. Still, it’s not clear how the U.S. can massively slash its aid budget and still effectively support Georgia’s sovereignty, territorial integrity, and eventual NATO membership (to say nothing of its democratic and economic development). Does Georgia Still Have a Seat at the Table? President Trump has only himself to blame for unsettling U.S. allies in Europe, Georgia included. His administration still hasn’t directly confronted the Kremlin about its meddling in last year’s presidential election—let alone put forward a coherent policy for dealing with Russia. All of the criticisms are legitimate, but the proof is in the pudding: Support for Georgia has become ingrained in the U.S. foreign policy establishment. President Trump may not share that view—on the other hand he may share it, you never know with him—but he hasn’t done much to overturn the status quo. At least so far, the Washington playbook rules in Trump’s America.